How to plant a BIG pot. 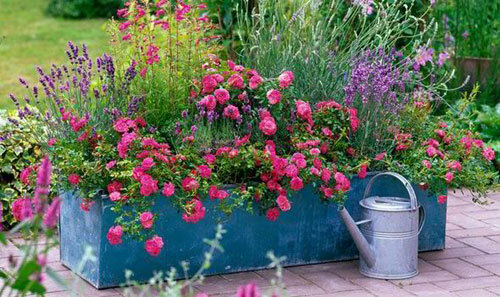 Here are a few really tips to take into consideration when you want to plant a big garden container. 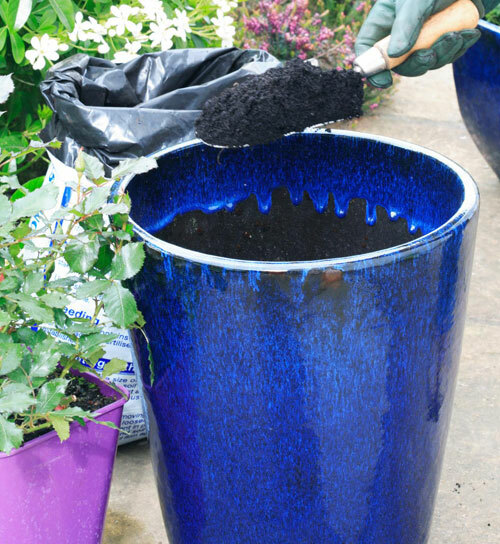 The main think to remember is that the pot has some weight associated to it BEFORE you fill it with dirt and plants so make sure that you place it where you want it to go before you start. You an also use our Pot Lifter to help out if you decide to move it afterward. 1. Fill the pot with just enough fast draining potting soil that the top of the biggest plant's root ball will nest about 2" below the pot rim. Tamp down the soil to firm it but not compact it. Mix in a granular fertilizer in the soil and then arrange the plants still in their nursery pots inside the big container in the spot you see them seeing planted. Once your design is set, remove the plants from the big pot, knock the plant out, rough up the root ball and position it in the big pot. 2. 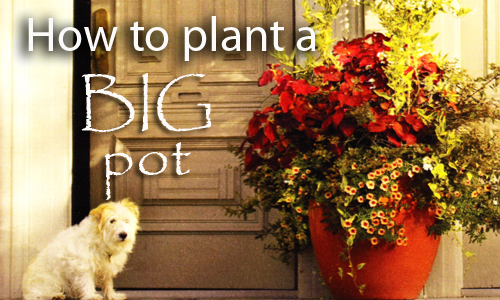 Fill the big pot with potting soil up to the top of the biggest root ball. 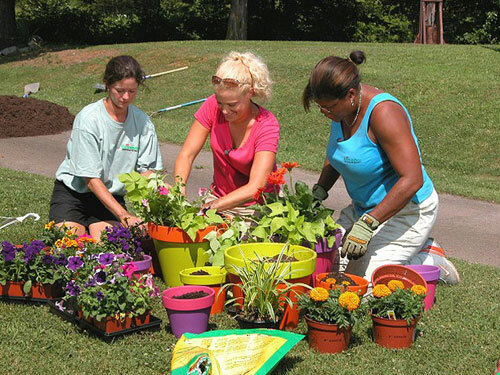 Plant smaller flowering and foliage plants, packing the soil firmly around their root balls. Put trailers like moss, ferns and ivy around the pot edges. Give the plant a good watering. 3. Choose plants to coordinate with the garden container you are using or to go with the garden setting you are placing the pot into. choose a few permanent plants, such as low growing evergreens as anchors, then fill in around them with colorful annuals and perennials. Make sure the plants have the same needs for exposure, water and fertilizer. Read more....Color in your garden.